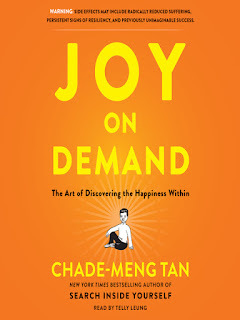 In Tan Chade-Meng's latest book, Joy On Demand, there is a mini story (or should I say joke) which I thought is quite funny and thought-provoking at the same time. So, I am sharing it here and provide my takes on this story/joke. Once upon a time, a Chinese guy went to see a fortune-teller. After the fortune-teller read his palms carefully, she said to him, "You are miserable now, and you will continue to suffer misery until you turn forty." He asked excitedly, "What happens after forty? Will my misery finally go away?" And she said, "No, after forty, you'll get used to it." So, what do you think is the morale of this story? Since it's a book about regaining your control over joy and happiness, I like to do a quick fun dissection on the way we interpret this story will determine how we perceived joy. Of course, there is no right or wrong answer, just how different people look at the same thing differently. D. Start to question yourself on the intention of seeing fortune-teller, why let an outsider telling you what your future will look like? Shouldn't you be the one controlling or steering it? 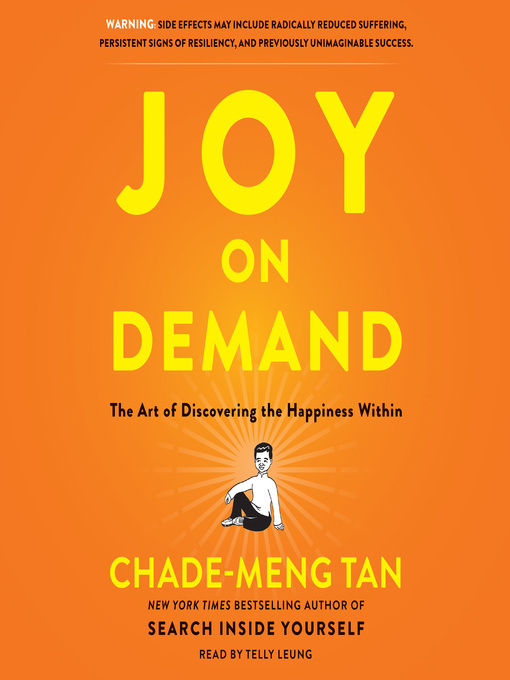 Type (C) and (D) tend to perceive joy is something from inside-out (or at least partially) i.e. you need to take some action/effort yourself in order to experience joy.